It's hard to escape everyone talking about diets this time of year or people exclaiming that they need to be "good" now that Christmas is over. I don't know how many times I have to remind people that if they eat a biscuit/cookie or any other treat that they are not "bad" for doing so as they claim they are. Food should never be put into categories of good or bad because food is food. I wasn't sure how I was going to write this blog post as it fits in my blog as I blog about food, but it's different then my normal posts. It's a review of a book and subject matter that is some what controversial. However, while I was reading it I made so many notes and thought of my own experiences when it comes to my relationship with food. If you don't know who Megan is can I ask you a question - have you been living under a rock? She has taken instagram by storm and has recently started YouTube videos. She's bright, cheery, and not afraid to shake it in her underwear and share it on the internet. She is also brave, strong, and a survivor of anorexia. It was interesting to read the parts on her experiences with anorexia, because it's something that has a bit of a taboo and that we the general masses don't fully comprehend. I mean why not just eat something right? In this book Megan explains from first hand experience why it's just not that simple and I think that is very important for people to know and understand that. That a lifetime of food, exercise, and weight loss obsession is something that can't be solved by just eating something. Also our media and fad diet industry has a lot to answer for. I mean everyone knows that, but no one pays any attention really. Megan's research and facts blew me away I had no idea how much they had to answer for. I may not be able to relate to Megan's experiences with anorexia, but I can relate to her experiences with body image. My whole life I have always had "extra" weight. Talking about my weight with anyone, besides my sisters, comes with a lot of judgement. I mean I write a baking blog, I bake so therefore I am fat. I had someone tell me exactly that. I have to assume they assumed that I didn't eat any other food except for that which I had baked. Which was generally far from the truth as I bake to share with friends, family, co-workers, and neighbors and when I explained that I could see the disbelief in their eyes. The thing is I should have never had to feel like I had to explain myself. My diet, because a diet is what we eat, is really no one else's business. 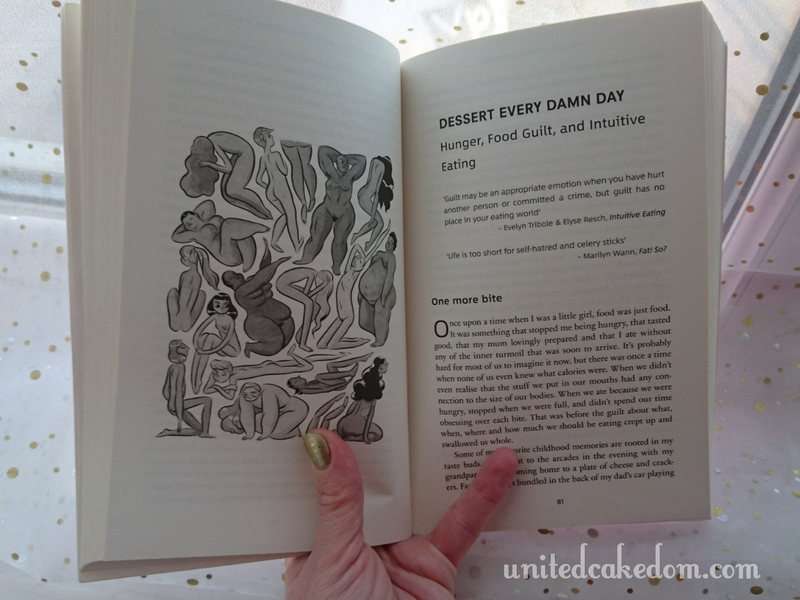 Nor does my love for baking define my overall diet and health; no more then my weight does. 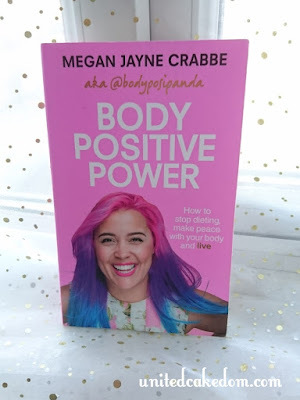 One of the biggest things Megan gets thrown are those who say she is promoting obesity, but if you give this book a read or follow her on social media you will understand that it has nothing to do with promoting any sort of body type, but promoting people to love, accept, and embrace themselves no matter what size they are. Because we are so much more then our body size. I may never be comfortable enough to film myself shaking it in my underwear on social media, but I love the idea that if I ever decided too I know Megan along with other body positivity guru's and front runners would have my back. If you are looking to grab a copy of your own click here and if you want to check out Megan's instagram click here. I'd love to know your thoughts on this please leave a comment below!!! *I purchased my own copy of this book, all thoughts and opinions are my own further information can be found above in the contact/policy page above!